so u’ll be soon flying high like the birdie..nice picture..
I’m friendly. Below is my neighbourhood. 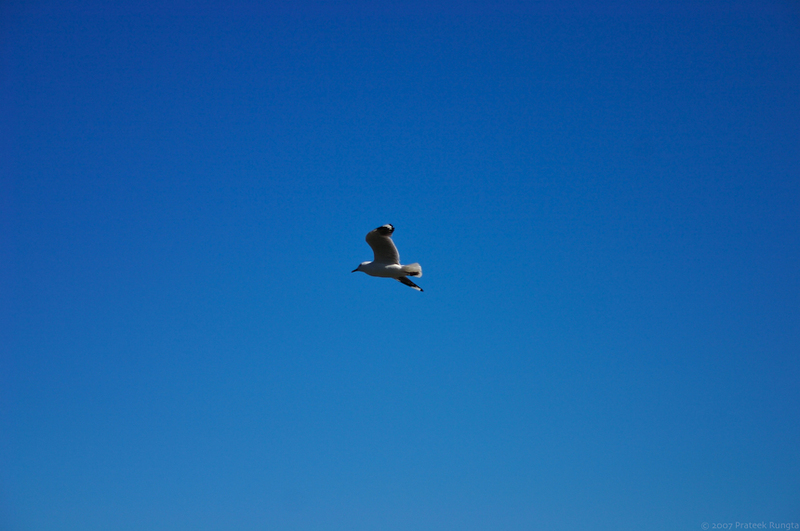 BTW, the seagull picture is lovely (save one tiny-miny fact that it’s centred!). Also, the spotless sky, without a hint of a cloud in that one is amazing…something rare, at least here. I actually like the fact that its centered. You’re right that spotless skies are a rare phenomenon in Delhi. looking back at all your pics and this one, gives a me a strong urge to come down under. You should give into your urge. Hop on to a plane and get down here!